Namaste and welcome to the Lotus Heart Centre. The Lotus Heart Centre blossomed from the Heart as an inspiration to offer a unique and sacred space for people to Awaken, Experience, & Transform in ways that best serve their spiritual, emotional, and physical needs. The Lotus Heart Centre is open and available to all individuals of diverse religious or spiritual backgrounds and traditions; for those seeking a spiritual path, and for those who have yet to realize that they are seeking something, “That” something which is already within their Being: their own “True Nature”. The Lotus Heart Centre is also a place for those who simply wish to get away from every day stresses and need a peaceful environment to rest, relax, and rejuvenate at the level of the mind, body and soul. The Lotus Heart Centre offers accommodations for bed and breakfast, yoga and meditation retreats, workshops and special events. There are extra rooms available to accommodate larger groups if required. The Lotus Heart Centre is a member of the Hridaya-Yoga family of Meditation Centres opening in various countries around the world. Hridaya-Yoga and meditation classes will be offered on a weekly basis to guests and those from the local community who wish to attend. Hridaya-Yoga lectures and retreats will also be held on a frequent basis; the dates will appear on our events calendar. For more information regarding Hridaya-Yoga please follow the link on our home page. The yoga hall, guest rooms and wellness spa are modern, spacious, and provide an excellent atmosphere to allow the Heart to open, the energy to flow and transformation to occur. The meals are strictly vegetarian; vegan or raw food meal plans are also available. For those wishing to host their own event or program the centre is available for rent with or without a meal plan. Alcohol, smoking, and pets are not permitted for the respect for others. The property is located at 448 OLD WOOLER Rd., near the town of Brighton Ontario; only 8 minutes north of the 401 in the scenic rolling hills of Northumberland County. The land consists of 20 acres with walking trails, a small pond, a few fresh water springs and has an oversized in ground pool for those wanting a refreshing swim. Please contact us: we are looking forward to “serving you” on many levels! True knowledge, wisdom, direct experiences, and transformation come through revelations at the level of the Spiritual Heart (“Hridaya”) thus the teachings and practice of “Hridaya-Yoga”. “The lotus flower is the symbol of purity, faithfulness and spiritual awakening. 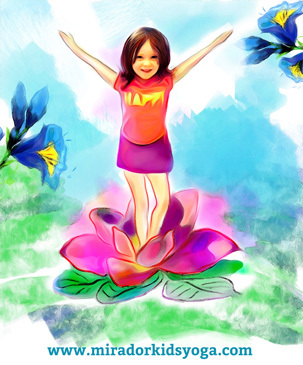 The flower lift itself from the dirt and mud of its surrounding, which represent the act of rising above the water of desire and attachment, which is the key for achieving spiritual enlightenment. Though the flower has its root in the mud, it grows upward in the direction of light, which represents the aspiration to rise above and move towards the light. In other words, the flower stands for the journey from the darkness, represented by the muddy pond, to the light of knowledge or wisdom. Lotus Heart Centre continues to proudly remain alcohol, smoke, cannabis, and pet free. Please contact us for any questions about this policy.